Exciting times for residents of the Westbrook South with the recent completion of many of the streetscapes and vast passive open space areas. With section 1 of the Forsyth Drain area to the east and Skeleton Creek reserve to the west of the precinct, residents are now enjoying both the aesthetic and amenity benefits of DFC vision. 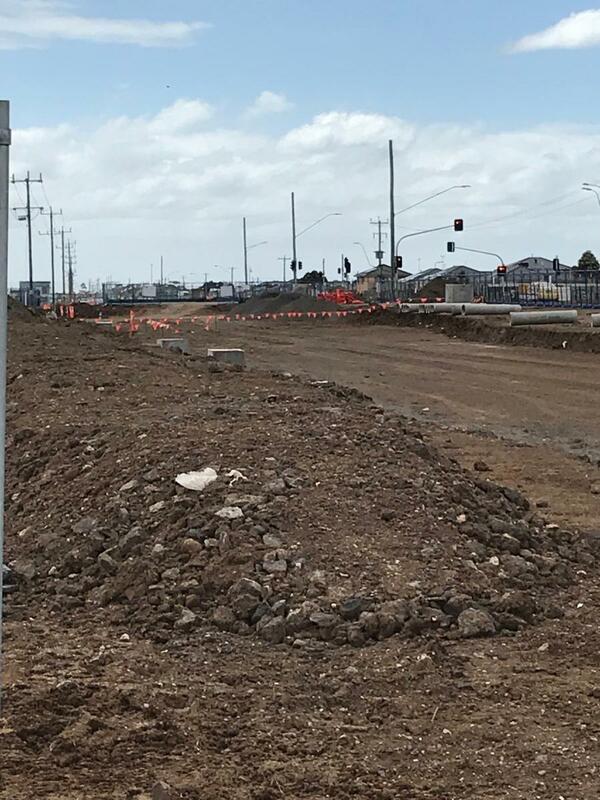 With the northern carriageway of the Leakes Rd Duplication now well underway and due for completion by mid next year residents will also enjoy reduced travel times to the city and surrounding areas once completed. 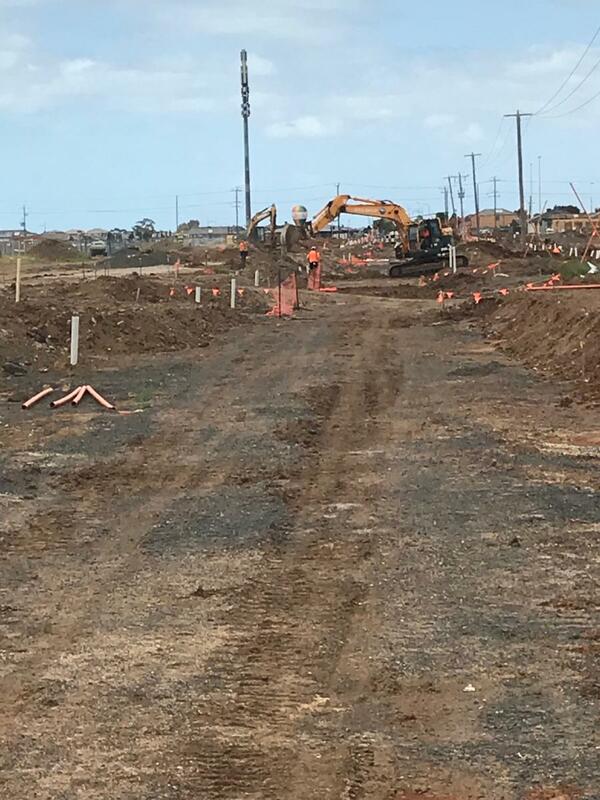 Stages 22 and 28 gas and water reticulation works are now complete with electrical trenching more than 50% complete. 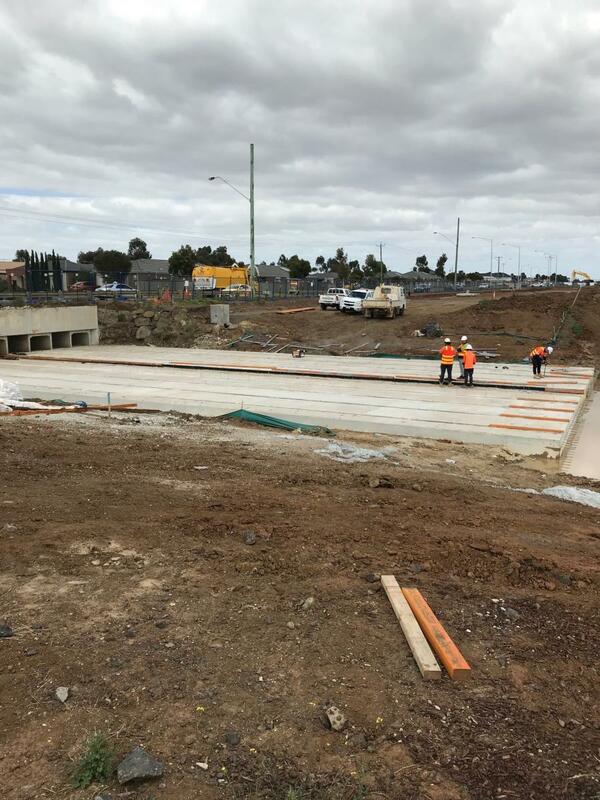 Stage 33 road boxing and capping layer is now complete with gas and water reticulation due for completion prior to the Christmas break. Westbrook North precinct has developed at a significant pace with 12 stages currently under construction. Stages 35-42, 52 - 56 including works to Forsyth drain have progressed significantly with tittles expected in quarter 1 2019. These are exciting times for the Westbrook Community. Stages 35, 36, 38 & 39 have just had underground electrical works, streetlighting and telecommunication cabling carried out. Asphalt is expected to be laid early in the new year. Stage 37 is in the process of preparing for road pavement works with kerb & channel works to commence in the new year. 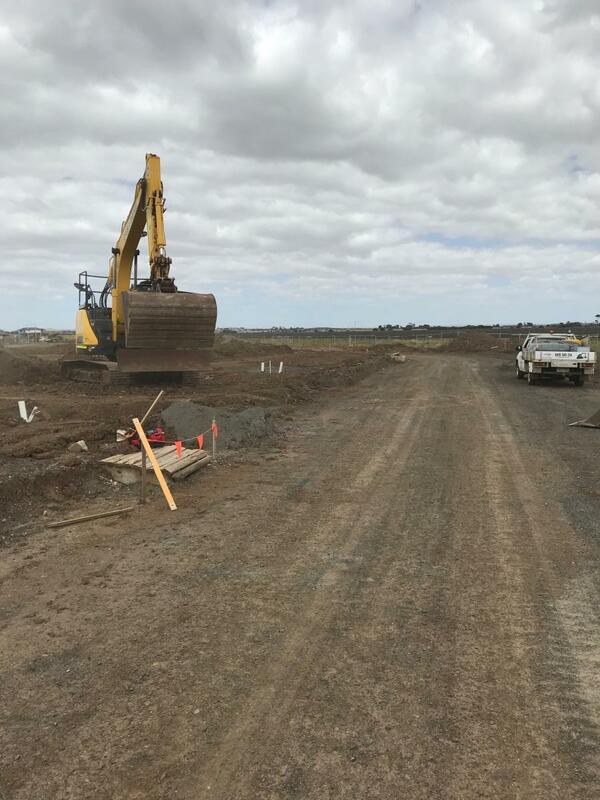 Stages 40 & 41 are in the process of having water & gas reticulation works carried out. Road pavement works will be carried out in the new year. Drainage works in Stage 42 are now complete with water & gas reticulation works to be carried out in the new year. 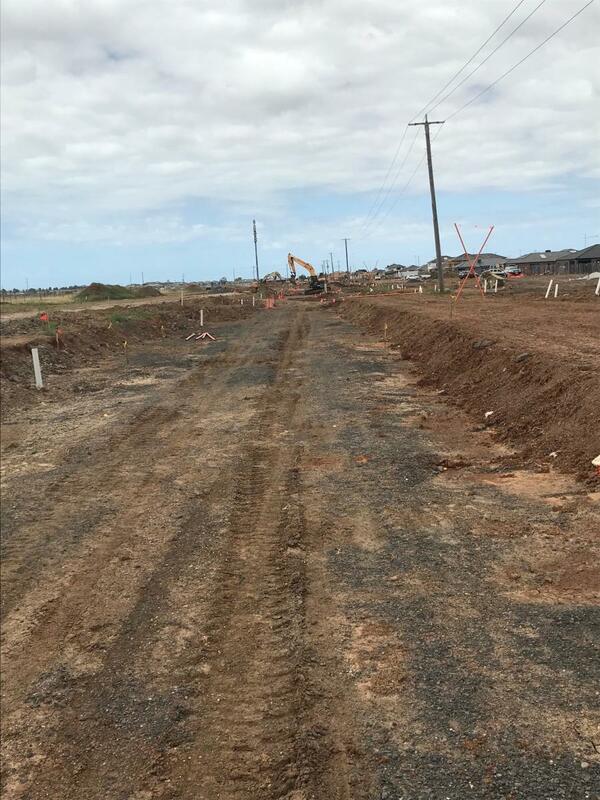 Stages 52 , 53, 54 & 56 are currently undergoing drainage and sewer reticulation works which will progress in the new year.